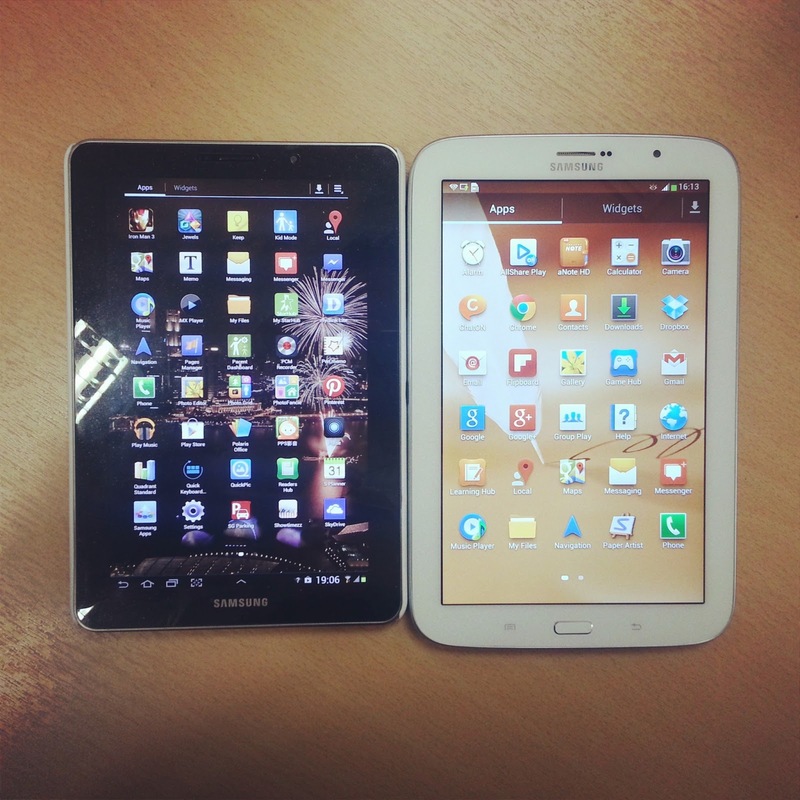 Samsung appears relentless in its desire to dominate the Android device market by introducing devices of various sizes. There is the Galaxy smartphones, within which consists of the premium S range, the Mini range, and the recently-announced Mega range. 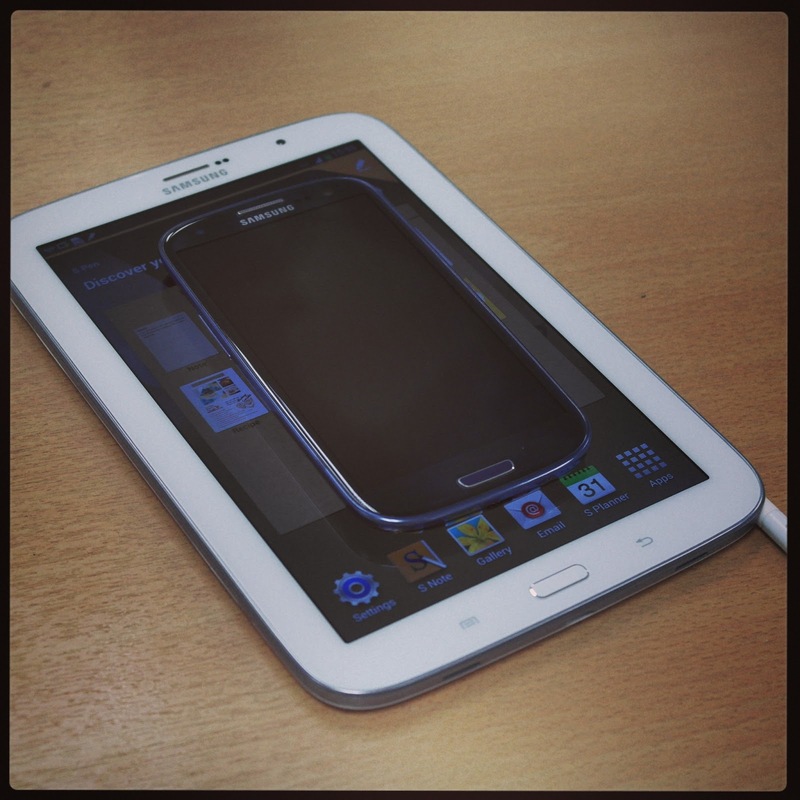 There is the Galaxy Tab, in sizes between 7 and 10.1 inches. For the Galaxy Note range, there is the Note I, Note II, Note 10.1, and here I have the Note 8 LTE (GT-N5120) for review. One of the first questions consumers usually ask is: what is the difference with Note 8 and the Tab 7.0/7.7 models other than the S-Pen? I hope my review will address that difference. 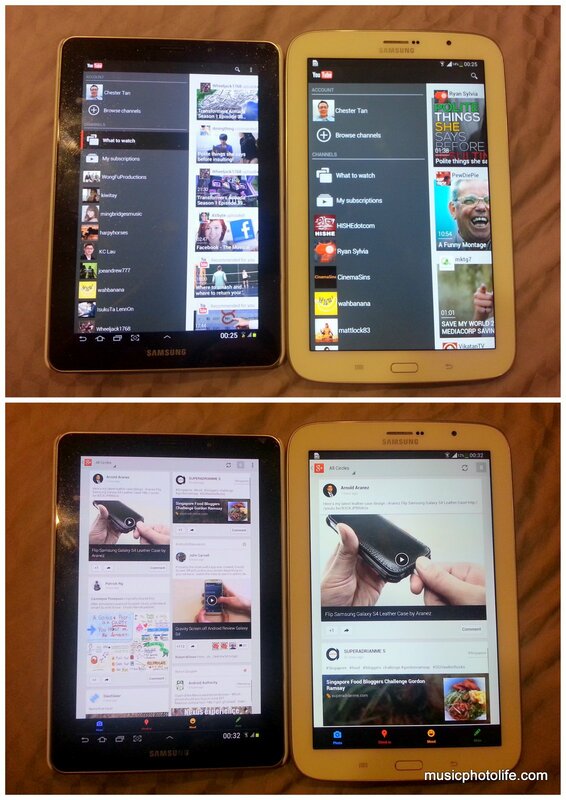 The Note 8.0 uses similar plastic material as the other Tab and Note models. The power, volume and IR are located on the right side, while the microSIM and microSD are located on the left. Stereo speakers, micro-USB port and S-Pen are at the bottom, while the earjack is at the top. It also has the usual touch-sensitive buttons and Home button below the screen. A significant difference with the Note 8.0 is that it runs on the smartphone interface and not the tablet interface. This means that the Note 8.0 has the taskbar on top which can be dragged down to show the notification panel in full screen. The impact of using a phone interface vs. tablet interface is the screen layout. The Android apps interpret the Note 8.0 as a phone interface, and so displays as such. In the below example, you can see that the fonts are larger, there are more spaces for each item, and the apps display single column content feed instead of multiple columns. With everything looking larger on the Note 8.0, this really benefits consumers who are visually challenged. The best thing about the Note 8.0 is that it is everything you need from an Android. It can be a phone, where you can pick up calls by holding against the ear. 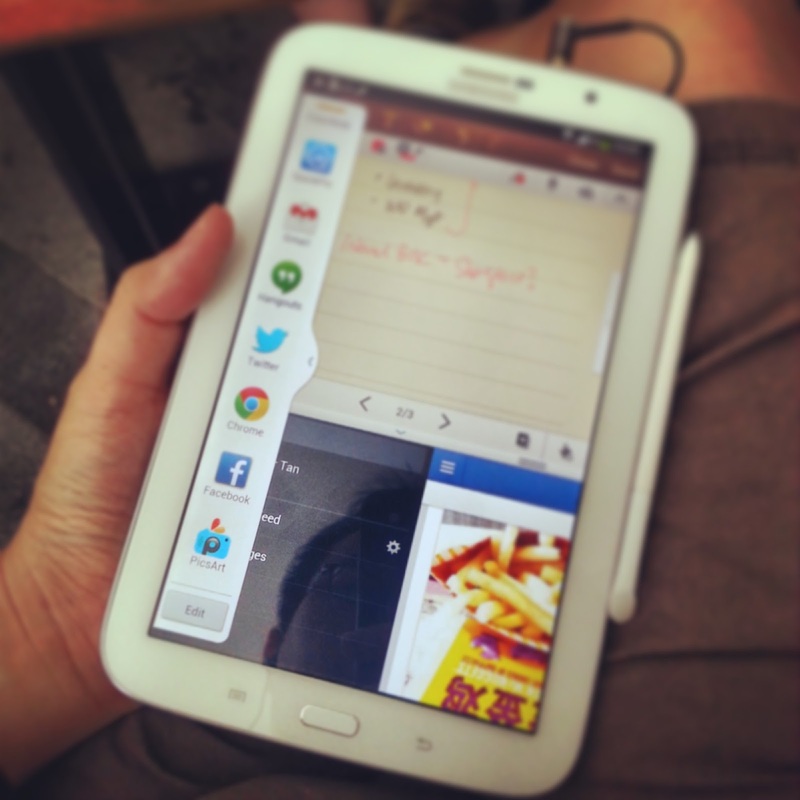 It can be a tablet, as it is large enough for you to consume content. It is even a remote control for your TV! The 8-inch screen is a better size, compared to the 5.5-inch Note II, for running multi-window apps and taking notes using the S-Pen, although I find it a little hard to write on the smooth glass surface. Even if you do not doodle half as good asKeith Nakamura, the S-Pen is awesome for precision navigation and clicks, just like a mouse. On top of that, the S-Pen helps you to do screen captures quickly, activate a pop-up window for quick notes, hover over items for content preview. What other device allows me to scribble notes, browse websites, and listen to music, all at the same time? With the Galaxy S4 being one of the best Android smartphones in the market, the Galaxy Note 8.0 takes the honour as the best Android tablet. At an attractive price of S$788 and supporting 4G LTE network (the Wi-Fi version costs merely S$588), the Note 8.0 would have been perfect if not for its mediocre 5mp camera. It also did not include many of the new touch-free enhancements found in the Galaxy S4. Then again, had they included these features, the Note 8.0 would have cannibalised Samsung's Android smartphones and tablets. u didnt mentioned that it came without a flash for the back camera as compared to the 7.7 which has a flash.